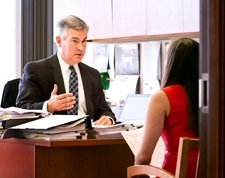 Todd & Weld attorneys are actively involved in trying non-compete cases involving noncompetition, non-solicitation and non-disclosure restrictive covenants contained in employment agreements, as well as claims involving trade secrets, breach of fiduciary duty, tortious interference with contractual relations and advantageous business relations, and misappropriation. We were involved in one of the first reported noncompetition decisions in the Massachusetts Business Litigation Session representing Staples, Inc. in the WB Mason v. Staples case, 12 Mass. L. Rptr. No. 26, 603 (January 18, 2001). We have been involved in numerous other notable decisions, including Oxford Global Resources, Inc. v. Guerriero, 2003 WL 23112398 (D. Mass. Dec. 30, 2003), Boch Toyota, Inc. v. Klimoski, 18 Mass. L. Rptr. 80 (Mass. Super. June 24, 2004), Lycos, Inc. v. Jackson, 18 Mass. L. Rptr. 256, Mass. Super LEXIS 348 (August 24, 2004); and Wm. Gallagher Assoc. Ins. Brokers, Inc. v. The Hays Insurance Brokerage Group of New England, C.A. No. 11-02532 (Mass. Super. July 11, 2011), as well as numerous noncompetition/non-solicitation cases on behalf of stock brokerage and mutual fund companies, including a recent preliminary injunction decision obtained on behalf of a client enforcing noncompetition and non-solicitation covenants against a portfolio manager in the Business Litigation Session. 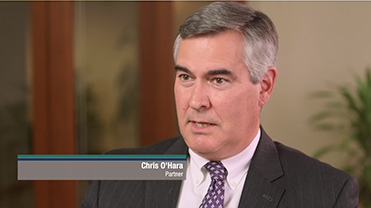 Our employment attorneys give sound and practical advice concerning non-compete issues. We are frequently writing about and speaking on these issues at seminars and other publications, including being quoted in the Employment Law 360, The Boston Globe, Boston Business Journal and Mass. Lawyers Weekly.